Individuals with neck pain may find it difficult for get a night of restful, restorative sleep due to pain keeping them awake or interrupting their slumber. Not only can a restless night make it more difficult to complete tasks related to everyday living or make neck pain worse, but poor sleep habits over time can raise one’s risk for chronic disease and even early death—perhaps as much as physical inactivity or a bad diet. When treating a patient with neck pain, doctors of chiropractic often inquire about the patient’s sleeping position and pillow, as addressing these factors may be important for getting a good night’s rest. When it comes to a “good” position for the head while sleeping, most experts would recommend assuming a position that most closely mimics a good upright posture. If lying on the back, the head should not be forced toward the chest (hyper-flexed) or dropped too far backward into hyper-extension. When lying on the side, the head should not be forced upward or downward, away from the neutral position. 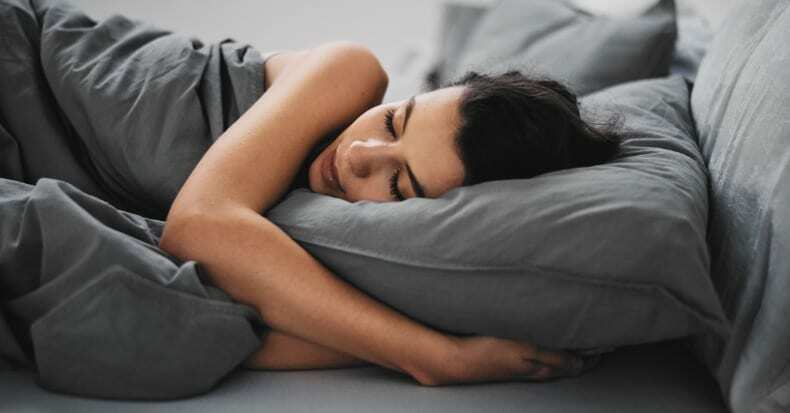 If you habitually sleep on your stomach—which is generally NOT a good position for the neck due to the prolonged static rotation—you may want to consider a very thin pillow (or not using a pillow) to not force the neck too far up or down when rotated. Placing a body-pillow between the knees that extends up in front of the pelvis and chest can function as a “kick-stand” to keep you from rolling onto your stomach during the night. What about pillow materials? There are many to choose from, such as feathers, foam (memory and others), water, buckwheat, and/or combinations of these. While there is probably not a “best” choice, there are characteristic differences that are worth discussing. For example, memory foam molds nicely to the contours of the head and neck but can be hot and may have an unpleasant odor. Latex foam has the advantage of molding well to contours without becoming hot and comes in various densities to suit preferences, which can be quite helpful for those with neck pain and headaches. Generally, higher density foam offers less breakdown and more support. Latex is also resistant to mold and dust mites, another distinct advantage. Feathers and down pillows can mold to fit the body contours nicely but have a tendency to lose that initial position as the feathers often spread out while sleeping. Some people are also bothered by allergies or skin sensitivities making feather pillows and certain types of foam undesirable. Buckwheat hulls tend to mold well and be cool but then can be noisy when moving. Mattress firmness should also be taken into consideration, as the amount of “sinking in” will affect the pillow thickness decision. If musculoskeletal pain is interfering with your sleep, consult with your doctor of chiropractic to help determine the best position and pillow for your individual case. Your chiropractor may also offer nutritional recommendations with the aim of improving sleep quality.